When Dhoni does well, all seems well with Indian cricket. There are a fair few questions surrounding this Indian team in the 50-over format on and off the field but their respect for Mahendra Singh Dhoni isn’t one of them. Almost everyone in the current squad played a majority of their career under Dhoni’s leadership and owe it to the Captain’s belief in their abilities. The way they speak about him at every turn is proof that Dhoni’s position in the team, in his teammates’ eyes at least, is unimpeachable. It was similar with Dinesh Karthik as well in the press conference. “It was the kind of innings he’s played over and over again. So it was great to watch him bat and finish off an innings. We know he can absorb pressure and release it back to the opponents when the time is right. That has always been his strength and today you saw the perfect example of that,” Karthik said. 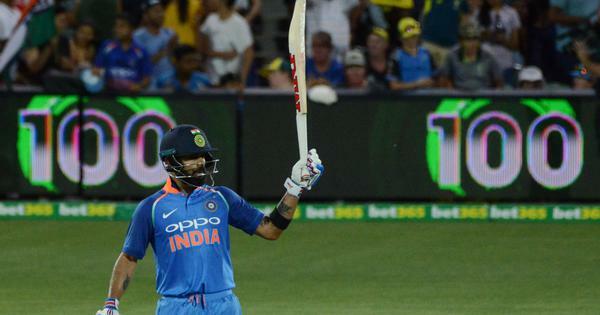 The effort in Adelaide was yet another case of Dhoni hitting the winning runs for India in the 50th over of a run-chase, but there wasn’t too much style associated with it. Sure he hit a six off the first ball when seven runs were required. But it was more of the cherry on the top of the cake that was baked from the scratch by Kohli and the best part of the finishing touches coming from Karthik. Dhoni was the man who dropped anchor and let his proteges, so to speak, do the heavy-lifting. The Kohli-Dhoni partnership was a fascinating case study. When he walked out to join Kohli, India needed 139 runs off 116 balls. The kind of required run-rate that Kohli converts with ease. Now Dhoni, after taking a two off the first ball he faced, took three runs from the next nine balls. A Glenn Maxwell over saw Dhoni face five dot balls and take a single off the last. And when Kohli got the strike back in the next over, he switched gears out of nowhere. In the next 8 balls he faced, he scored 19 runs, including an incredible six over long on off Jason Behrendorff. Keeping that one-run Maxwell over as a cut-off, Kohli went on to score his 39th Test century by scoring 46 runs off 36 balls. In the meantime, Dhoni had faced half the number of deliveries to move on to 17 off 29 balls. Kohli does that often in run-chases, as he said after the match, where he recognises a moment to strike, and goes after the bowlers. But, on Tuesday in Adelaide, there seemed to be another angle to it. Kohli recognised that the time to accelerate the scoring was when Dhoni was settling in and the former captain went along with it. For a brief period it almost felt like Kohli was farming the strike as Dhoni was getting set, all the while ensuring that required rate stayed within reach. After Kohli got out, India needed 55 runs off 36 balls. From there only 20 runs came off boundaries. Two sixes for Dhoni, and two fours for Karthik. Rest of the 35 runs were taken in 1s, 2s and 3s — both players resorting to sensible cricket. And Karthik’s innings where he faced just one dot ball after coming in at a crucial situation played a major role in India going on to win the match with relative comfort of five balls to spare. And while Kohli and Karthik were playing their roles to perfection, so was Dhoni. Unlike in Sydney, he didn’t let the initial settling in period affect his overall strike rate. And he did that not by going for the big hits (those didn’t come until the very end), but by running hard between the wickets. Age showed at the end — a 37-year-old who kept wickets for 50 overs in baking Adelaide heat, was now running between the wickets like every run was his first in international cricket, and that inevitably led to fatigue. He needed the physio’s help, he needed Karthik’s help too. But in the end, Dhoni did finish with a strike rate of 100-plus, remaining unbeaten in a successful run-chase with a half century. “Tonight was an MS classic. He takes the game till the end, when only he knows what’s going on in his mind, and he backs himself to hit those big shots at the end. He kept me calm and helped me not to get overexcited,” Kohli said at the end. 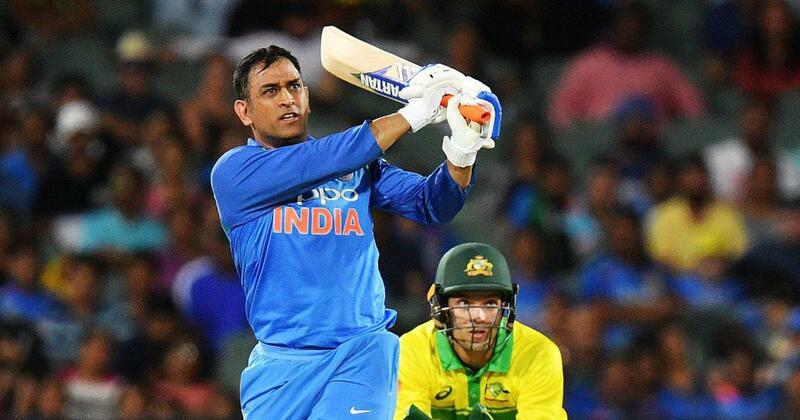 Classic might be a bit of a stretch here, but the win in Adelaide was the perfect example of how India can work around the new version of Dhoni and make the most of his experience. His big-hitting days might be behind him, but mental fortitude remains his strength. Kohli and Karthik made sure they did the heavy lifting as they drew from the experience of a man who has finished off many a run chase. In that, there is a template that this Indian ODI team could build on.